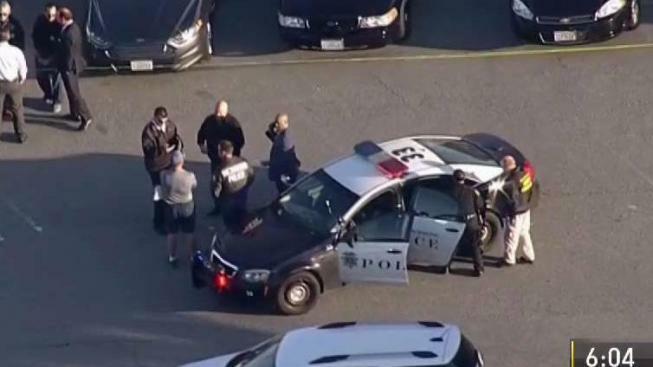 A man who shot and killed himself Monday afternoon after Richmond police stopped him was an off-duty San Francisco police officer, according to a spokesman for SFPD. After stopping the vehicle, the officer heard a gunshot and went back to his patrol vehicle to ask for help. SFPD spokeswoman Officer Grace Gatpandan confirmed late Monday night the deceased officer, who was later identified as 49-year-old Antonio Cacatian, was a nine-year veteran of the department. San Francisco police spokeswoman Giselle Linane says Cacatian was the subject of a criminal investigation involving multiple law enforcement agencies. Linane declined to discuss the investigation further. The police chief and command staff expressed their condolences to the officer's family Monday, she said. Tan said Richmond police and the Contra Costa County District Attorney's Office each have opened investigations into the death.